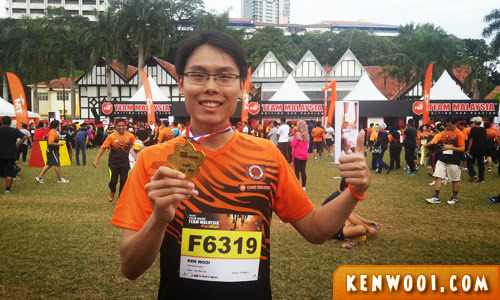 After running 5KM at the recent Energizer Night Race, I was actually looking forward to the 10KM Standard Chartered KL Marathon (SCKLM) in October 2014. 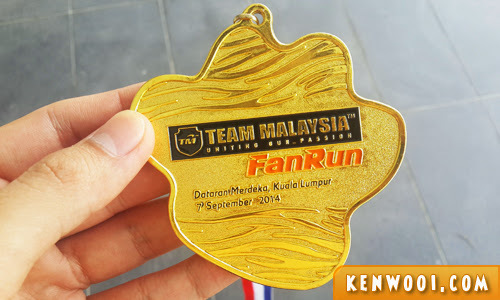 Little did I know, I spontaneously signed up for a 10KM run with the Team Malaysia Fan Run 2014 that will be held on 7th September. 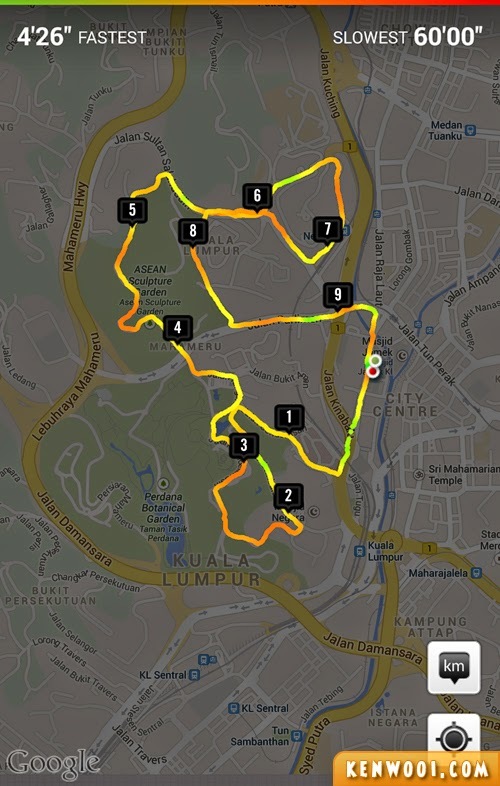 Since my first ever 10KM at the SCKLM 2013, I was really looking forward to complete another one. Well, weeks before this run I kept myself both mentally and physically prepared. My training regimes were consistent and frequent. Basically I was well-prepared. Food poisoning I suppose, and I was feeling weak the night before. In fact, I had a “nightmare” that the race was postponed so that I could have enough time to recover. However, my preset alarm clock rang and I was awaken by reality – the run ain’t gonna get postponed just because I don’t feel at my best. Despite that, I got myself ready and made it to Dataran Merdeka. Honestly, I was worried that I may faint or give up midway through the run. 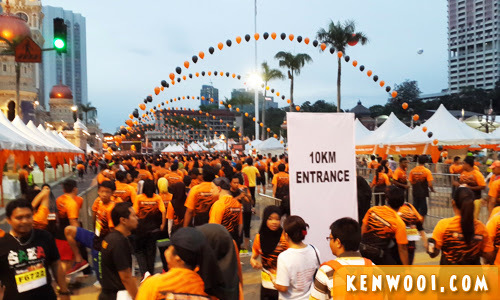 10KM is not an easy feat for someone who’s not feeling well. 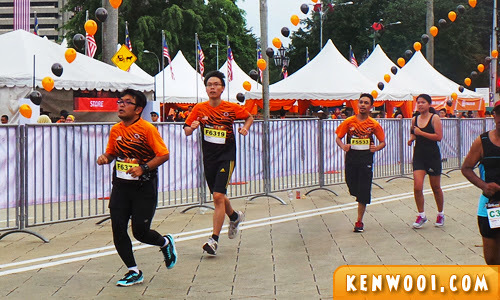 Nevertheless, the 10KM category was flagged-off at about 7.20am and I started running. Surprisingly, I felt more energized as I picked up pace. I guess it’s the mentality that counts. 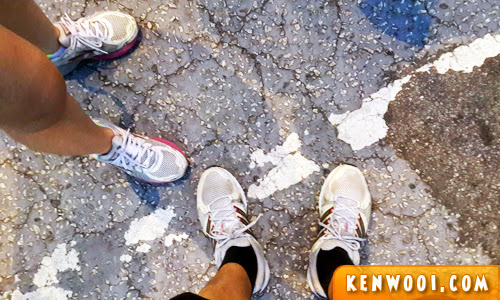 Thankfully, I survived the run without any serious “breakdowns” like… puking on the road? Heh. Well, the pace could have been better if I was at my best. That’s sickly me posing with the finisher’s medal. The 10KM route runs through multiple elevated roads within the Tasik Perdana vicinity. Uphill roads were rather tricky, but I took advantage of the downhill roads. Overall, the run was enjoyable and definitely fun. 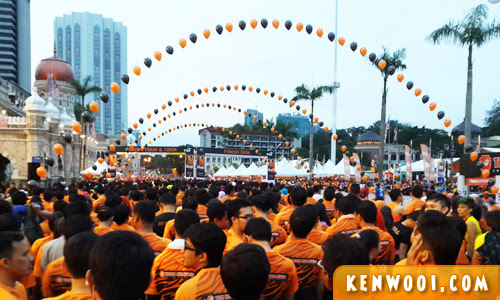 Plus, the whole event was well-organized and time management for the flag-off was commendable. So, next up for me is surely none other than the 10KM Standard Chartered KL Marathon in October 2014! Gotta keep up the training. Congrats. All the best in the SC KL one, come October. Make sure you keep training regularly, eat well and stay fit in the meantime.